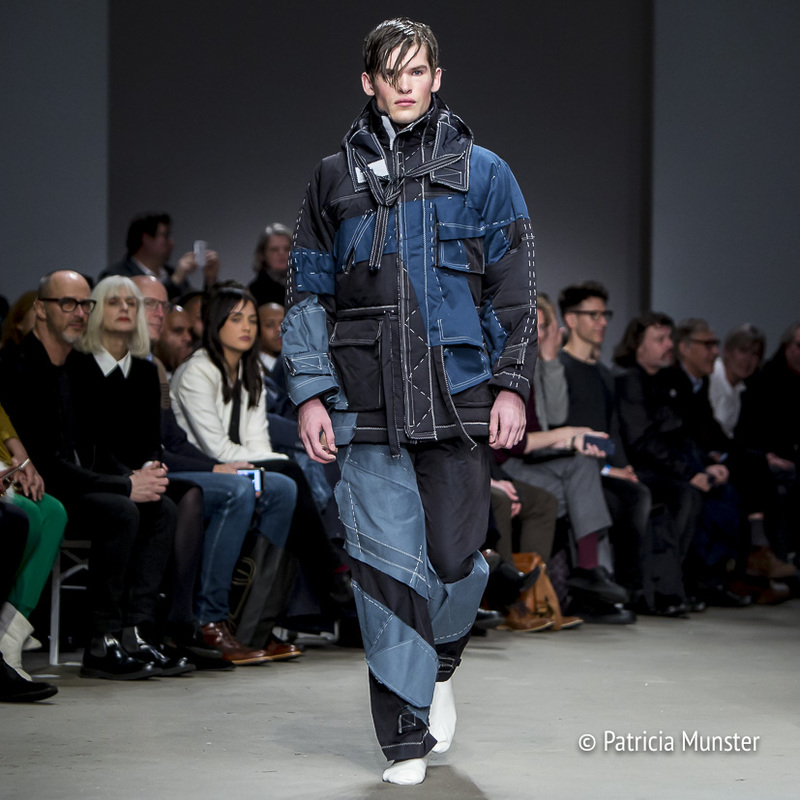 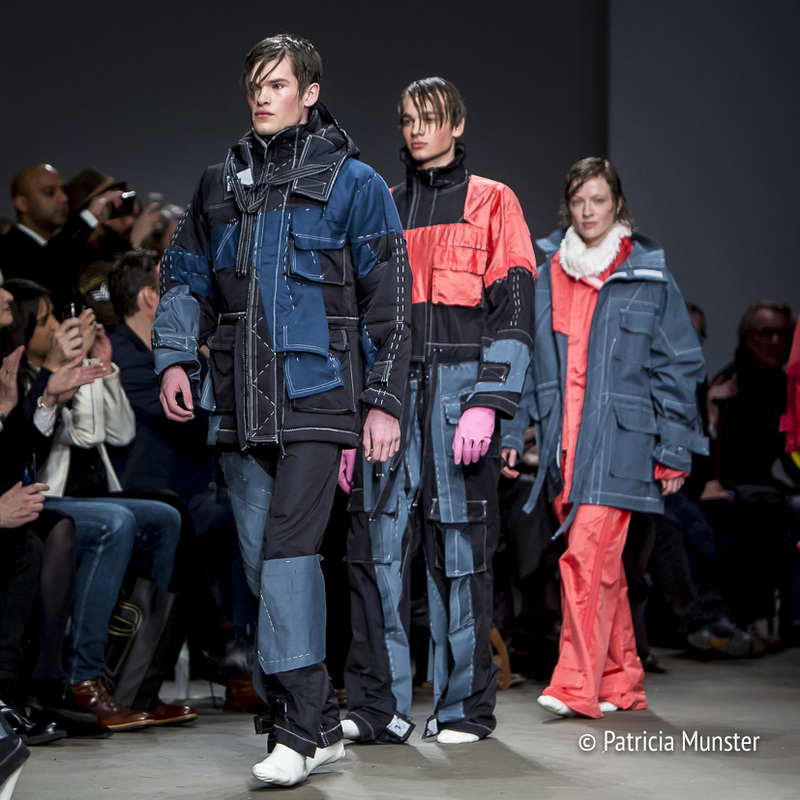 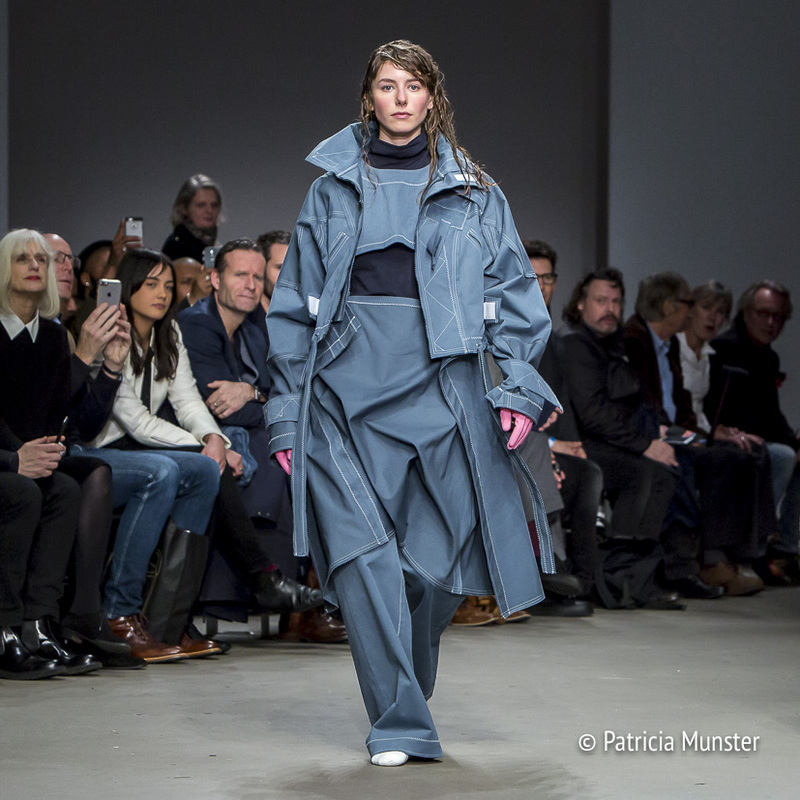 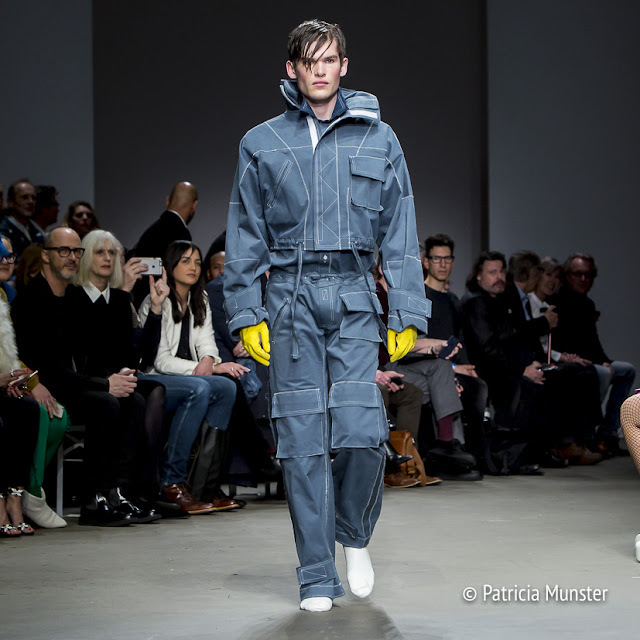 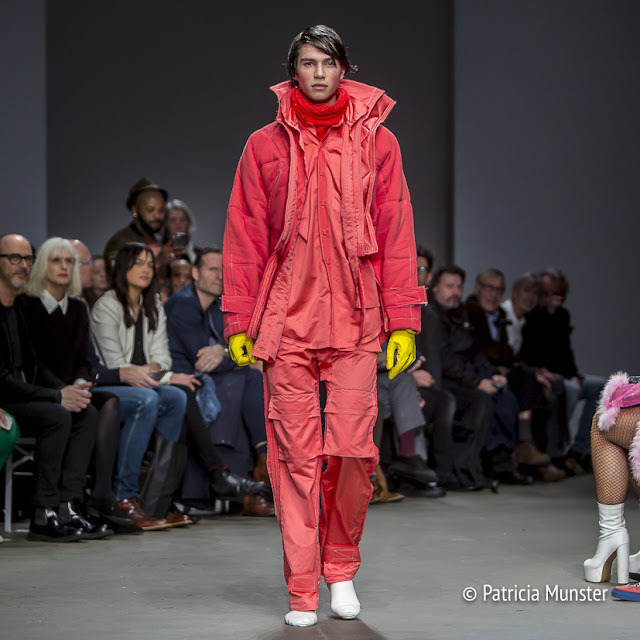 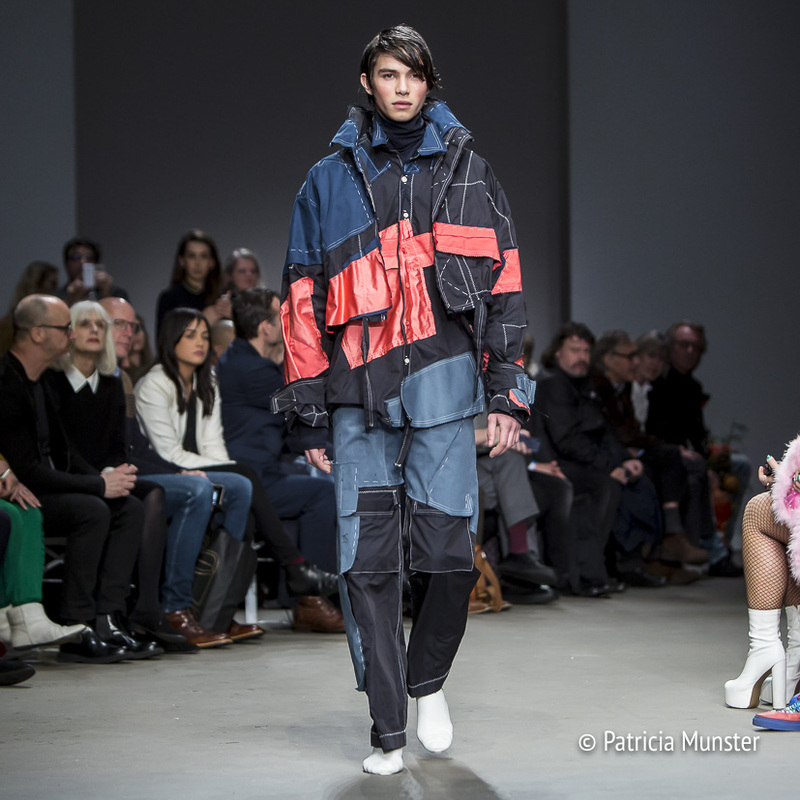 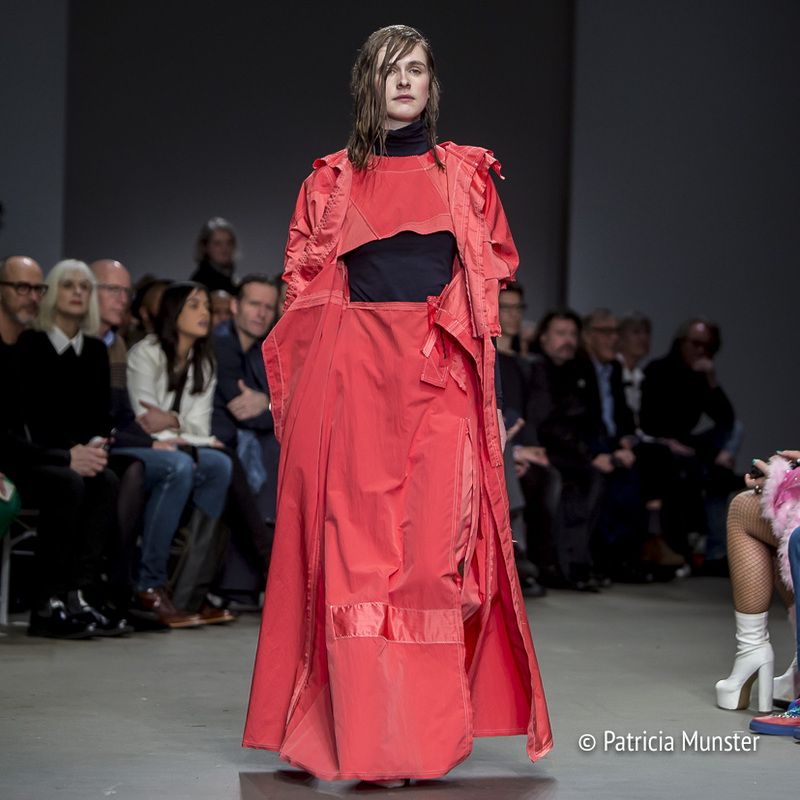 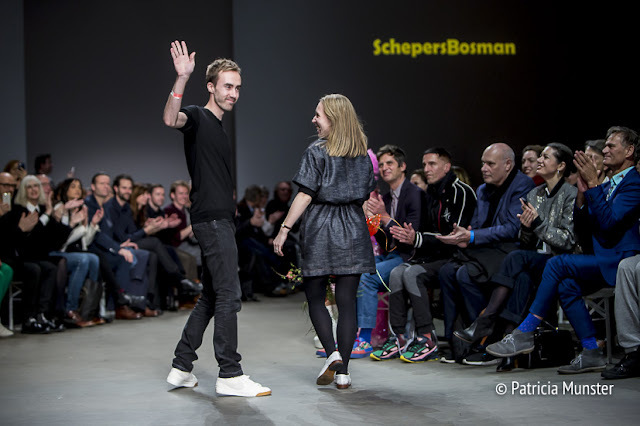 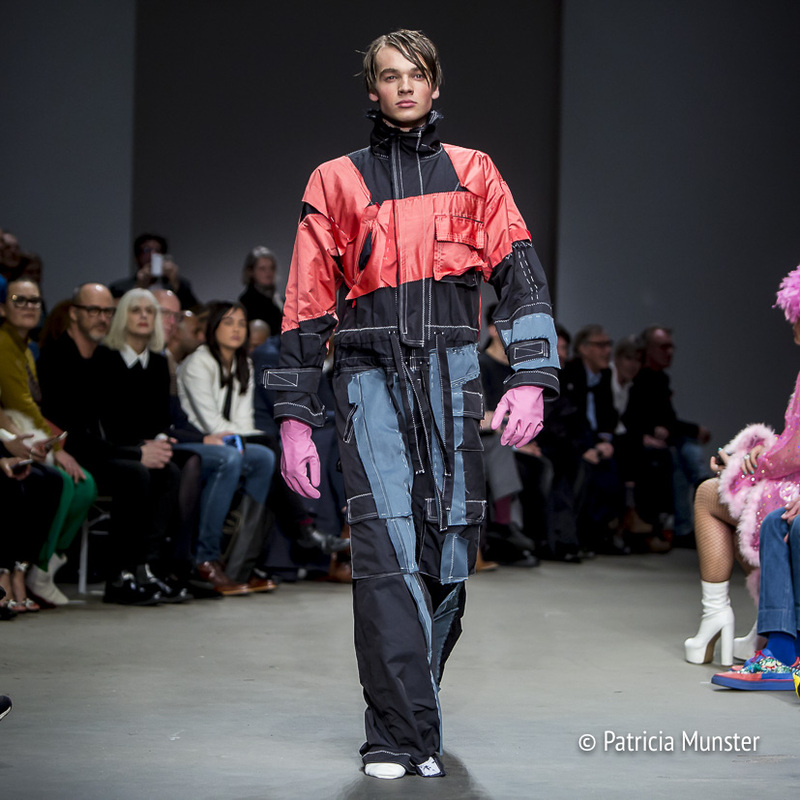 Schepers Bosman presented "Flat and Dutch" during the 26th Mercedes-Benz FashionWeek Amsterdam. 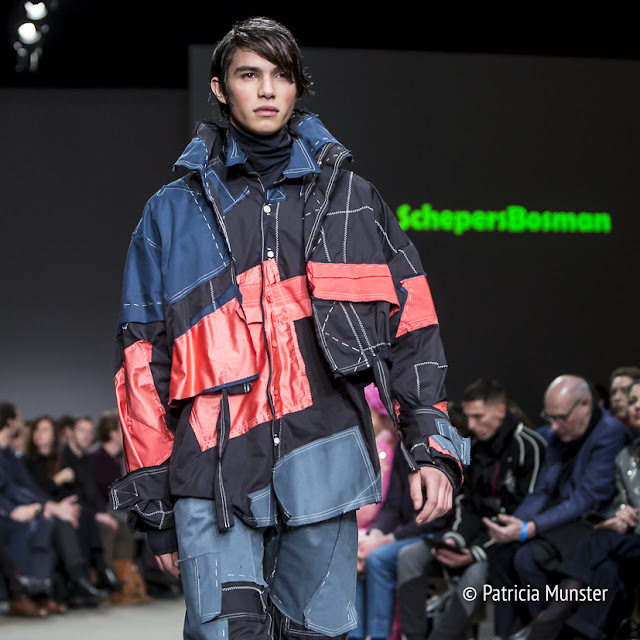 Their fall-winter collection is inspired by the flat country of the Netherlands and the wind and storm during a sailing trip. 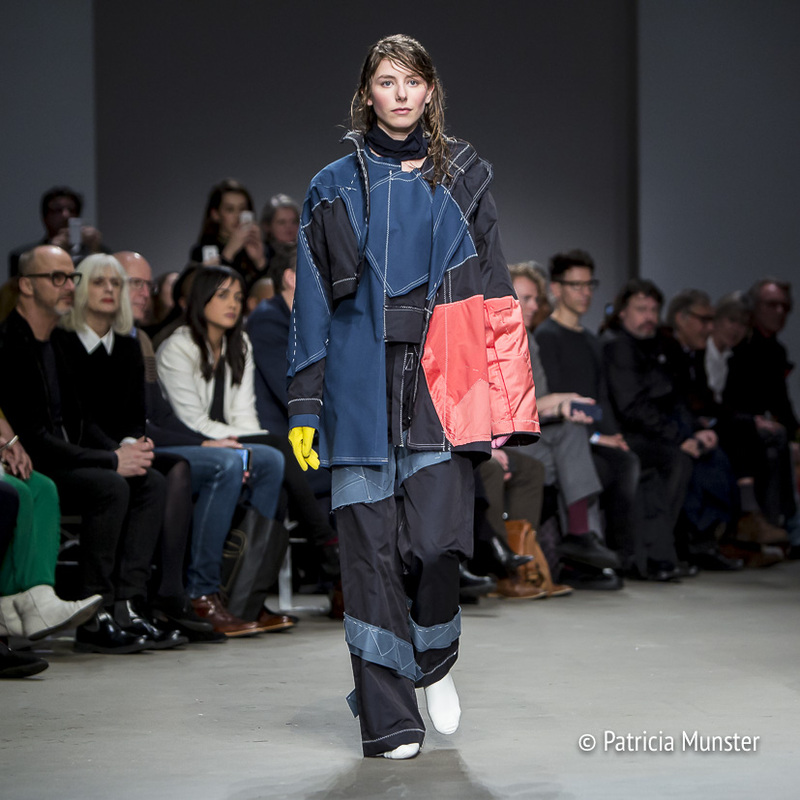 The designer duo used colour blocking with denim and red, like a collage. 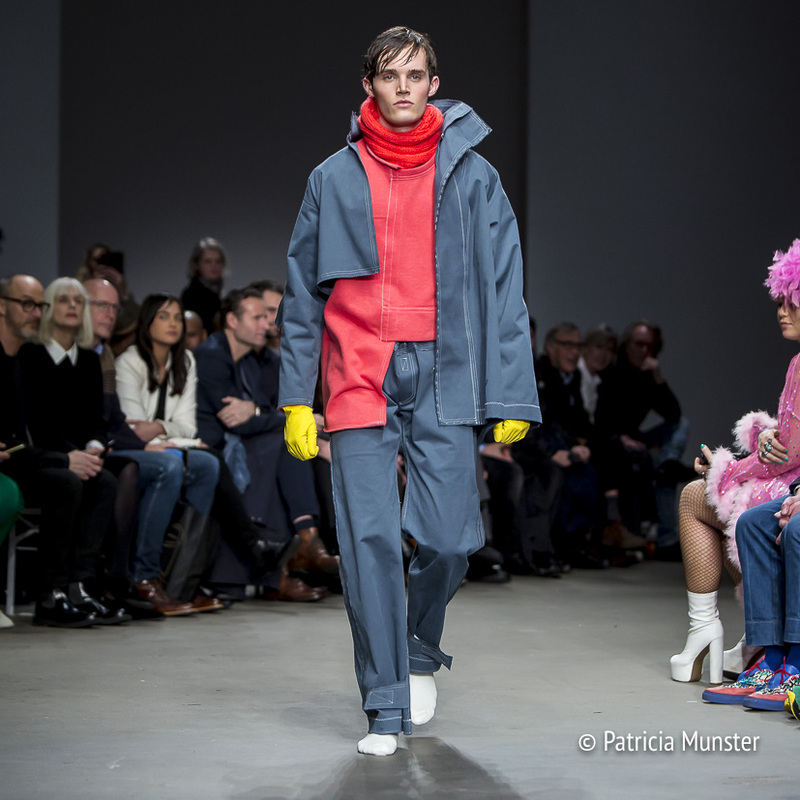 And total looks in one colour. Visible stitching, patch pockets and a sailing vibe with overalls and raincoats for both men and women. 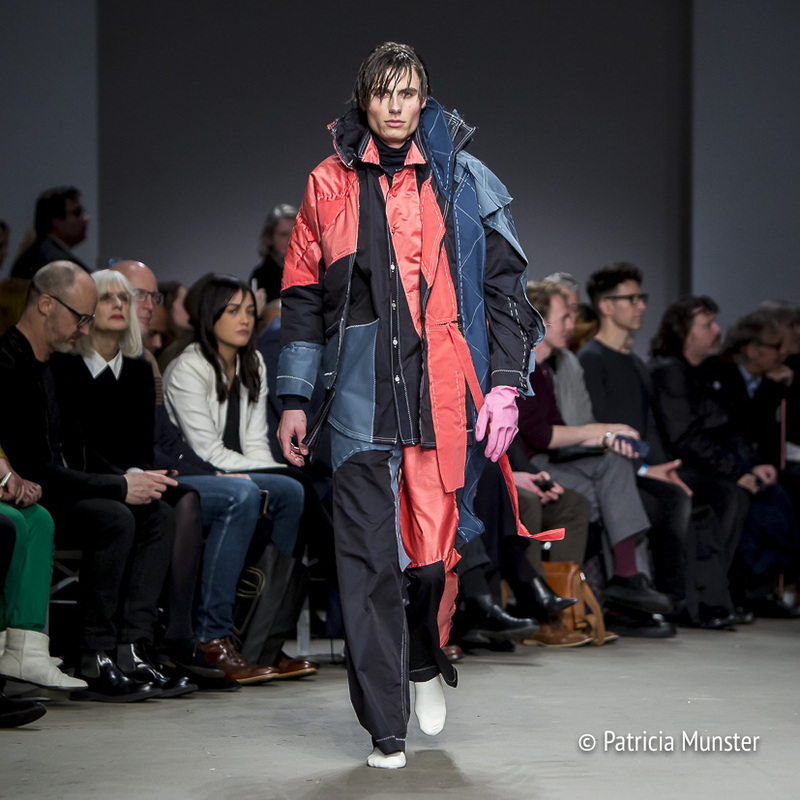 Sanne Schepers and Anne Bosman set also a creative catwalk, like the zigzag in their stitching, the models walked zigzag through the Trafo House of the Westergasfabriek. 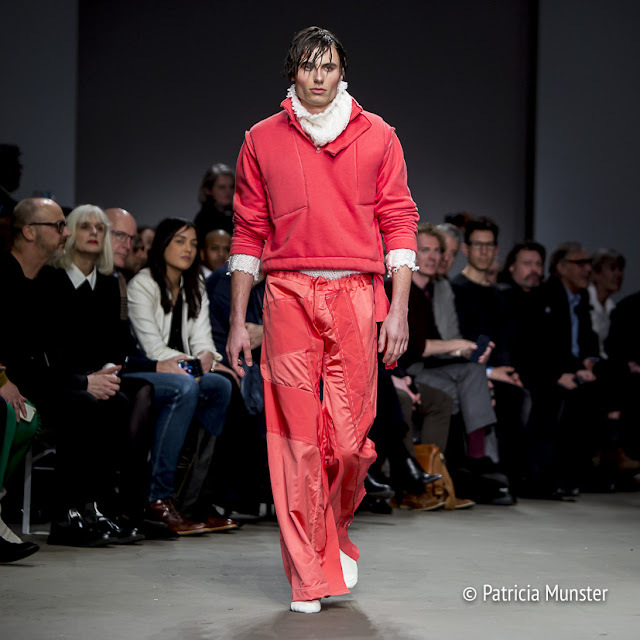 A comfortable collection for a cold and rainy day or a sailing trip! 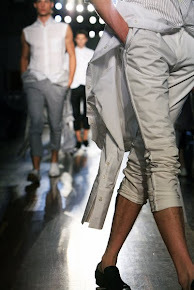 Enjoy scrolling down!